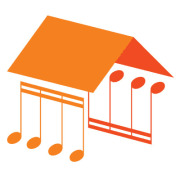 Shelter Music Boston presents classical chamber music concerts, of the highest artistic standards, in homeless shelters and other sheltering environments. Our goal is to promote community, creative interaction, respect, and therapeutic benefit. We believe all people deserve access to the dignity, creativity, and passion of classical music whether or not they have a home. We envision a world in which classical music is embraced as an integral component of professionally delivered social services in sheltering environments. Would you recommend SHELTER MUSIC BOSTON INC?